Little Creatures have released its first new single batch beer for 2018, ‘Little Creatures Extra Pale Ale’. Little Creatures’ Extra Pale Ale is a “cranked up version” of Little Creatures signature Pale Ale, with all components of the original ale dialled up to deliver extra flavour, aroma and kick. Head Brewer at Little Creatures Fremantle, Russ Gosling, said Little Creatures thought it would be good to take the path of evolving its much-loved Pale Ale. “This beer is about delivering the extras on a beer style we know and love,” Gosling said. “There are liberal additions of Cascade and Wilamette and Chinooks hops, as well as a dose of dry hops. 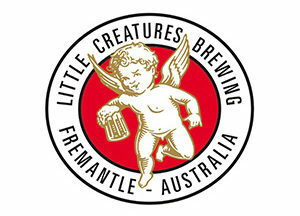 Little Creatures Pale Ale is a limited edition ale available now from major alcohol retailers and from the Little Creatures Freemantle and Geelong breweries. Ingham’s has extended its poultry supply contract with Woolworths until mid-2021.